One thought that every car owner has in the back of their minds is theft. In general, car crime these days isn’t as bad as it used to be. But anyone would be naive in thinking that it never happens. Criminals do not discriminate against the make and model of car they attack. While some high-ticket cars get stolen to order, others get broken into by opportunist thieves. But what is it about some cars, and how they are less desirable to thieves? If you want to lessen the risk of your car getting broken into or stolen by a thief, here are some top tips to protect your pride and joy. One of the easiest ways for a would-be thief to target a car is if it’s unlocked. Some people have a bad habit of leaving their doors unlocked when they drive to places. Modern cars these days have power door locks that you can operate from a key fob. Make sure that you lock your car up when it’s unattended. Even if you are at the gas station. Another thing you should ensure when your car’s unattended is that the windows are all closed. If you drive a convertible, consider putting the roof up if you’re going to be away from your car for a long period. Your job is to make sure car thieves have a hard time of breaking into your pride and joy. Many car break-ins get caused by opportunist thieves. These are people that happy to walk by your car and peer inside as they walk past. If they see something of valuable on display, like a cell phone or laptop, they will smash the window and steal it. It takes just a few seconds for that to happen, and the thief will be long gone before the alarm gets raised. If you need to keep any valuables in your car, store them in the glove compartment or trunk. 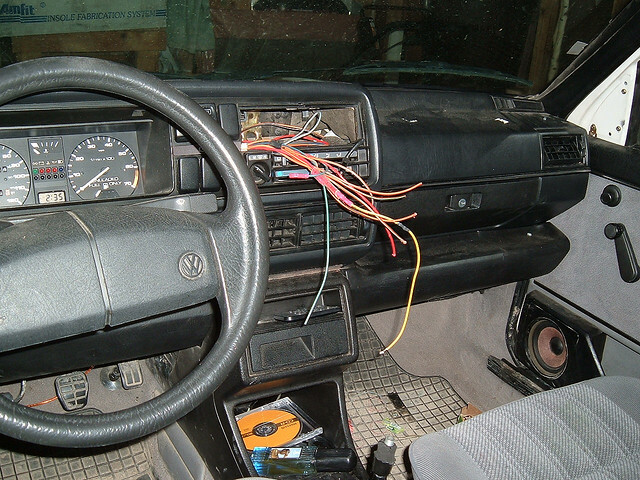 Modern cars use sophisticated alarm systems as standard. The trouble is; tech-savvy car thieves can often disable them using just a laptop and some clever electronics. We’ve all heard how some cars are more prone to these problems than others. But have you ever thought that a low-tech solution can be the perfect solution to this problem? A steering wheel lock is a mechanical device that, as you might have guessed, fits onto your car’s steering wheel. You might be thinking that suggesting you buy a new car is an extreme way to tackle car crime. But here’s the thing; modern cars have better security features than older ones! All the Audi cars at Carbase, for instance, have state-of-the-art anti-theft systems. Even if your car is just a few years old, today’s auto security technology is much better for theft protection. I hope this blog post has given you some ideas on how better to protect your car from thieves. Thanks for reading it.